UCO Bank (Human Resource Management Department), Kolkata has published a Advertisement for below mentioned Posts 2015. Check below for more details. Educational Qualification : CA & must have passed the relative professional examination. Selection Process : Candidates will be selected based on screening/scrutinizing of applications & interview. Application Fee: Candidates have to pay Rs. 600/- (Rs. 100/- for SC/ST/PwD candidates) by online through the bill desk payment gateway. 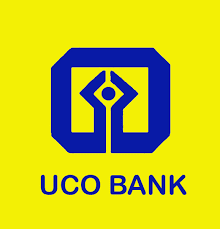 How to Apply: Eligible candidates may apply online through the website www.ucobank.com & send hard copy of online application affixing signed recent passport size photograph on it along with attested copies of all relevant certificates by Registered Post/Speed Post to given below address. Superscribe the envelope as “Application for the Post of Chartered Accountant in Scale-II”. Address to sent Applications : The General Manager, UCO Bank, Human Resource Management Department, 4th Floor, 10 BTM Sarani, Kolkata-700001.